We love Gifts Define’s wonderful children’s objects, such as their deco baby mobiles and personalized tree stories. Now Gifts Define have come up with something that tops the cake – literally! Wool Felt Party Toppers are a wonderful premium party favor choice that can be used for so many things. 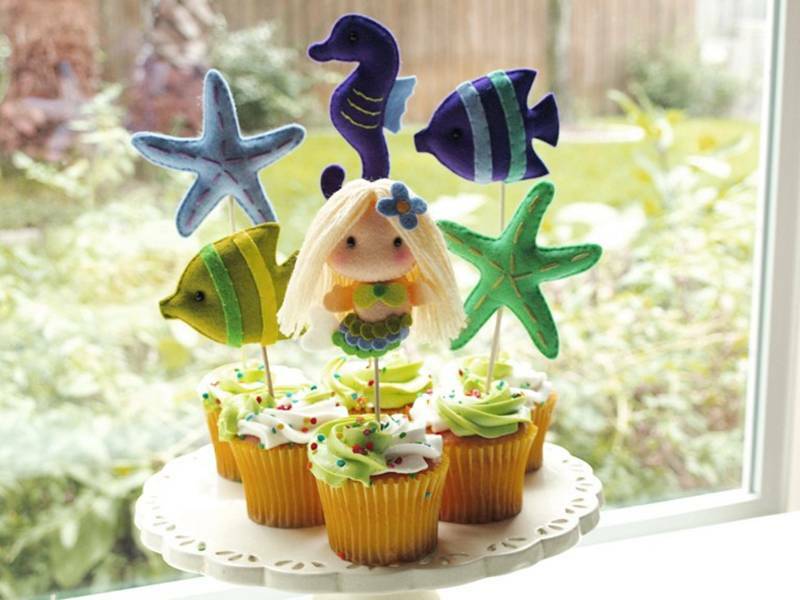 You can use these cute party toppers to top cupcakes (as shown above) but you can also use them in a larger cake, or use your imagination and create an adorable centerpiece with one or more toppers. You can use a topper as part of your gift wrapping arsenal or use them to mark seating at your little one’s birthday. No matter how you use these toppers, they’re sure to add a dash of special to any event. Each Wool Felt Party Topper is sustainable, crafted from soft, colorful Öko-Tex Standard wool felt, lightly filled with hypo-allergenic polyester stuffing and entirely hand sewn with embroidered and beaded details. 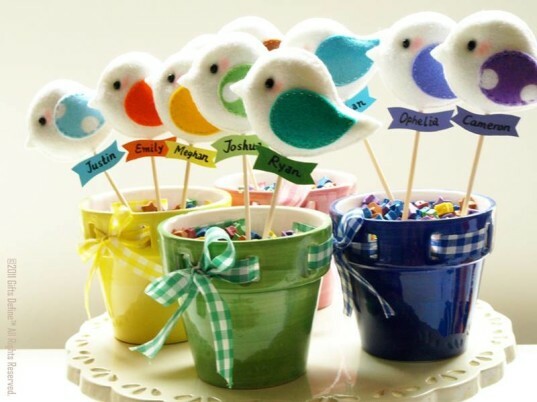 Each tiny topper comes with a wooden stick attached, but you can easily remove it depending on your party decor needs. Gifts Define also accepts request for custom felt colors in order to help complement your party theme needs. With so many design options, you’re sure to find a set of party toppers that’s perfect for your tot’s birthday, a green baby shower, even a wedding or other special event. We love Gifts Define's wonderful children's objects, such as their deco baby mobiles and personalized tree stories. Now Gifts Define have come up with something that tops the cake - literally! Wool Felt Party Toppers are a wonderful premium party favor choice that can be used for so many things. You can use these cute party toppers to top cupcakes (as shown above) but you can also use them in a larger cake, or use your imagination and create an adorable centerpiece with one or more toppers. You can use a topper as part of your gift wrapping arsenal or use them to mark seating at your little one's birthday. No matter how you use these toppers, they're sure to add a dash of special to any event.